Add Matching 6k Low Beam Bulbs? Add Int/Ext 9pc LED Kit? Many 2005-2013 C6 owners fell in love with LEDs when they came out. 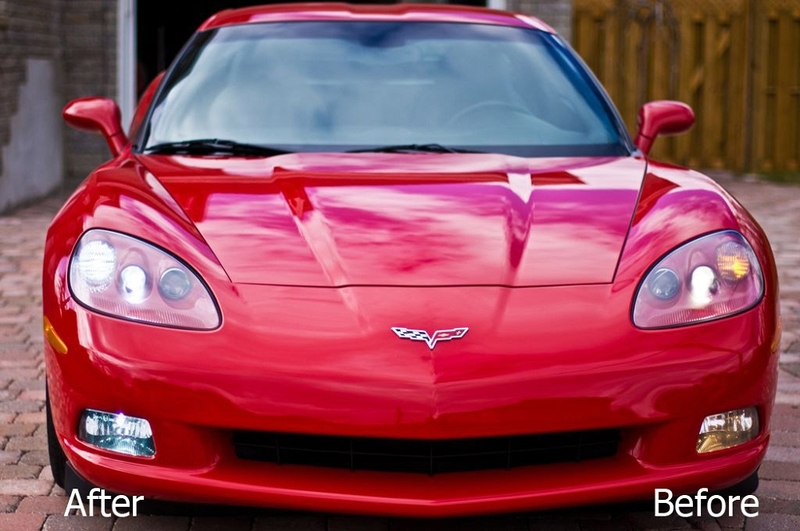 Corvette Mods was one of the first to bring LED applications to the Corvette community. Our newest LED switchback product consists of 39 LEDs per bulb with new technology. Our revised switchbacks are the first of their kind. 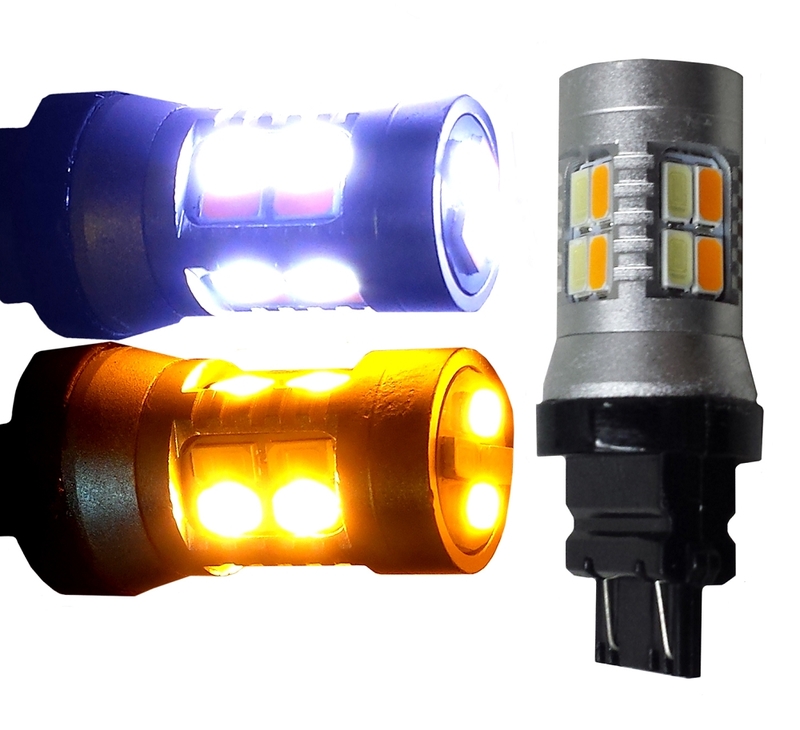 Instead of 60 (30 white/30 amber) small 1210 SMDs per bulb, the new switchbacks have 39 2826 SMDs per bulb AND each LED has the ability to illuminate two different colors - amber & white. These advanced LEDs allow you to have the amber color emitted during normal day driving, but when you turn on your headlights they switch over to white. This allows you to have a uniform look to your OEM HID headlights at night. 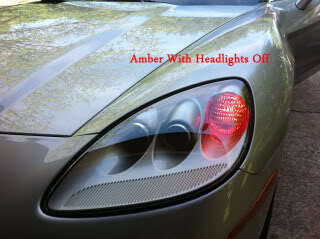 Then, when the blinkers are triggered the bulb will switch to just amber to pass inspection. Our Switchbacks carry a 90 day warranty. Tech Note: Please add resistors to your order if you prefer not to encounter hyperflashing (double-speed flashing due to LEDs using less power). Simple installation of resistors solves this if desired. They can be added to your bulb order above. Please use the drop down menu above and make additional upgrades to your Corvette. Q: After resistors are installed are the turn signals compatible with the car computer? 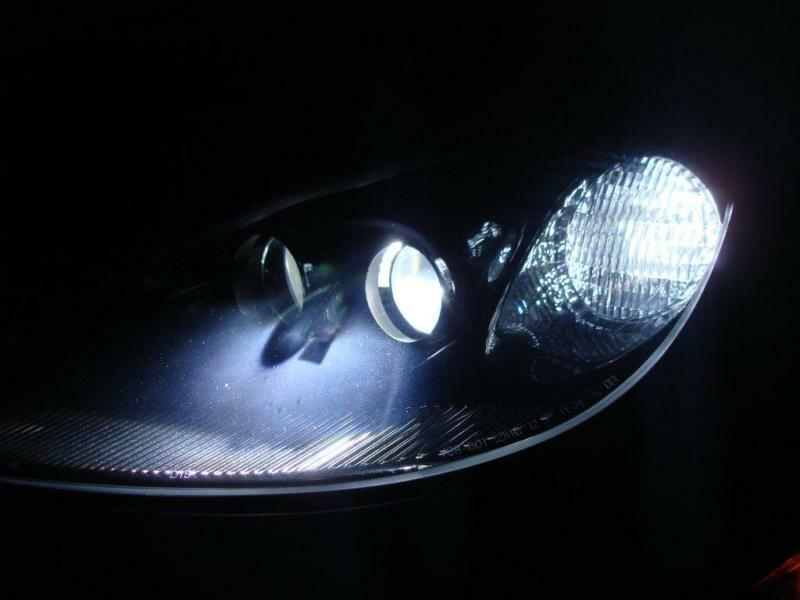 Q: How do the DRL's know that the headlights are on, and to turn from amber to white? Q: What is the 9 piece LED kit? Q: Are these switchbacks 6000k? 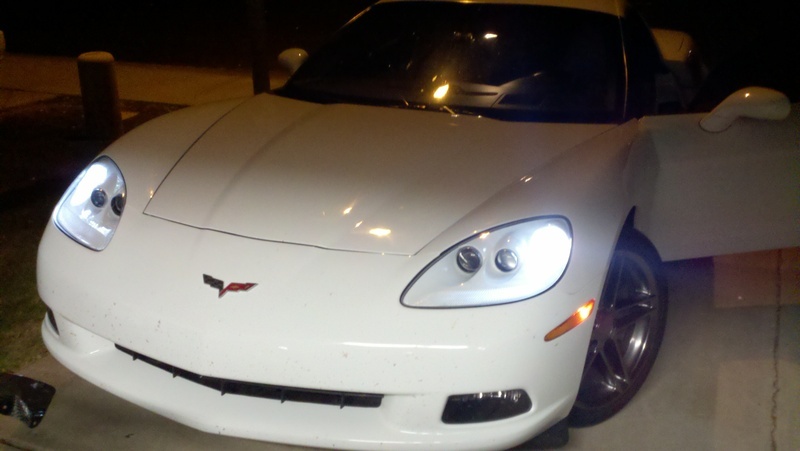 Q: your C6 DRL switchback LED what color do they emit when the fog lights are switched on without the head lights on?